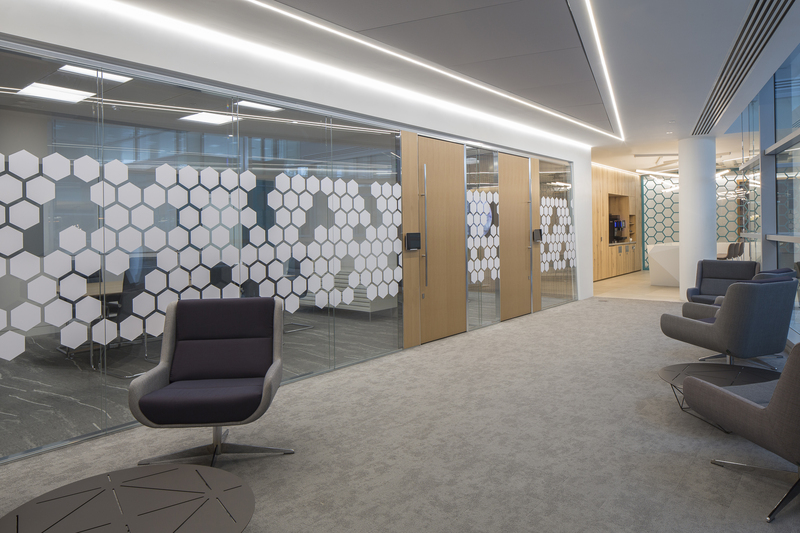 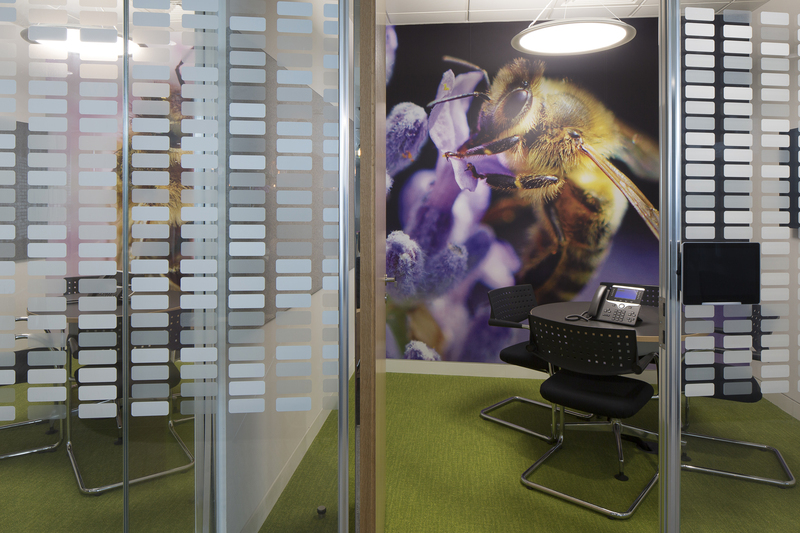 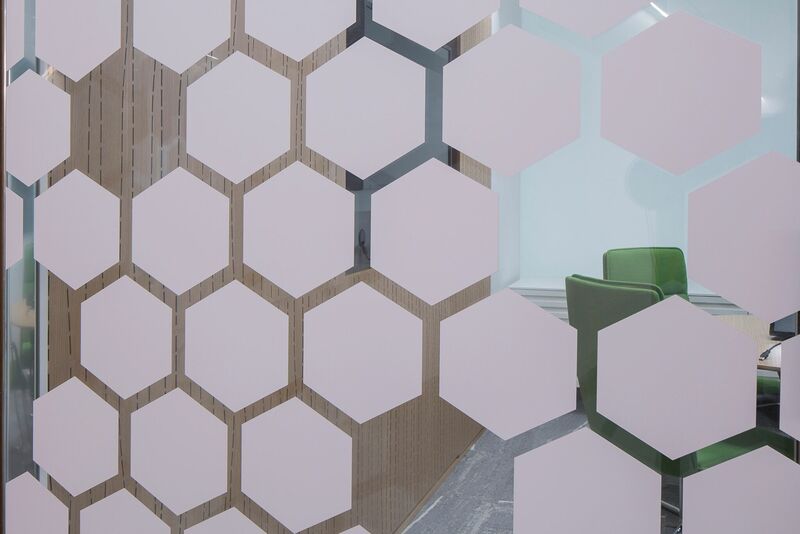 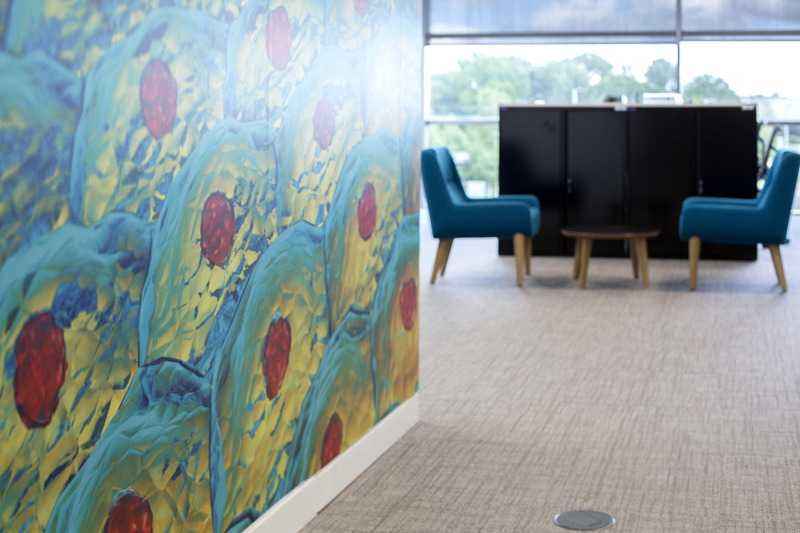 Graphica Display printed and installed 30 bright and bold Graphic Walls for the Bayer offices. 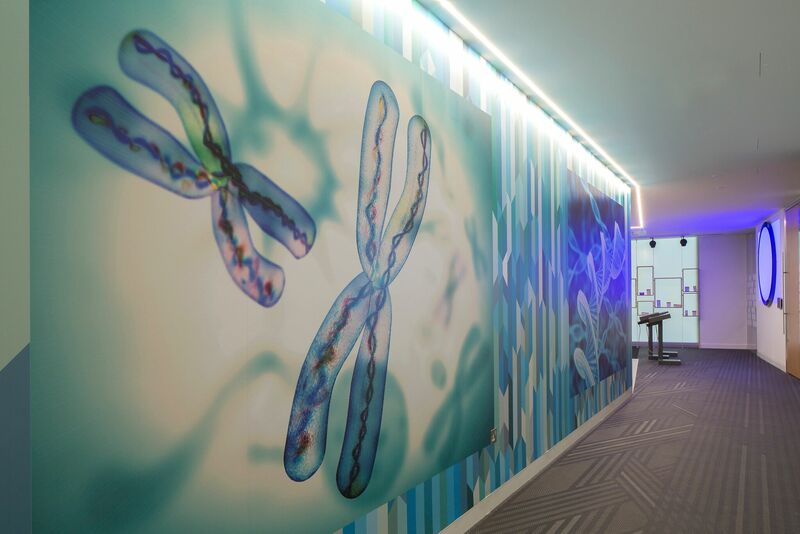 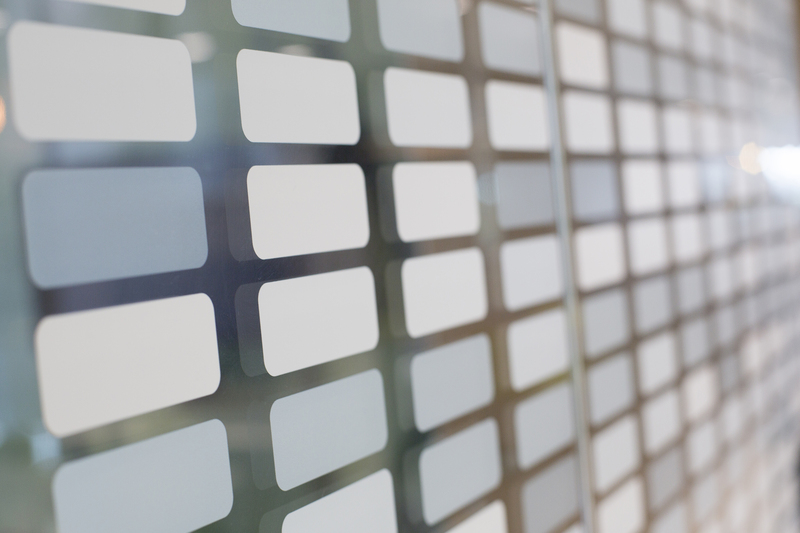 We also designed a DNA glass manifestation which was UV printed white ink with different transparencies onto optically clear. 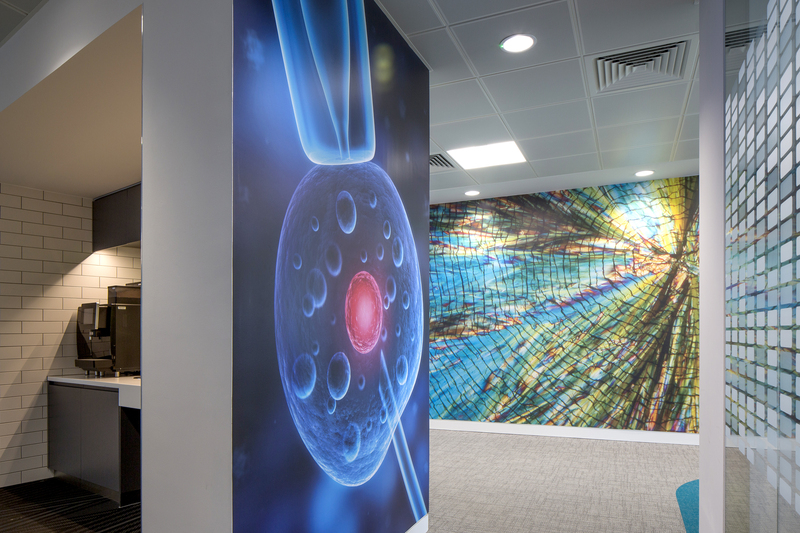 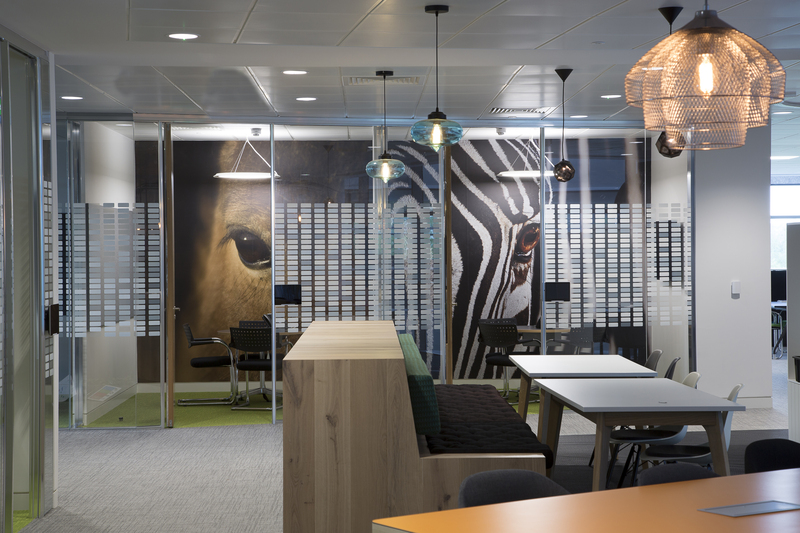 If you have any graphic or signage projects within the commercial interiors then please don't hesitate to call one our experienced sales team.